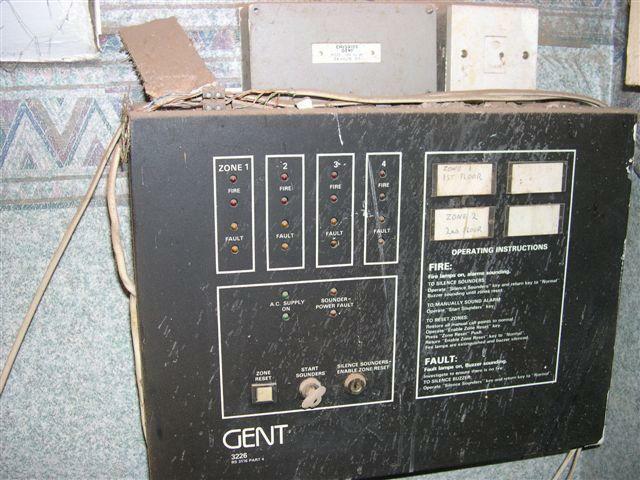 This is the first of a couple of photos of a rather old fire control panel that fitted to a building in Crodon (London area) of england, the panel was still powered up and in service until we got to the site. The panel is about 18 years old and not now up to code here. 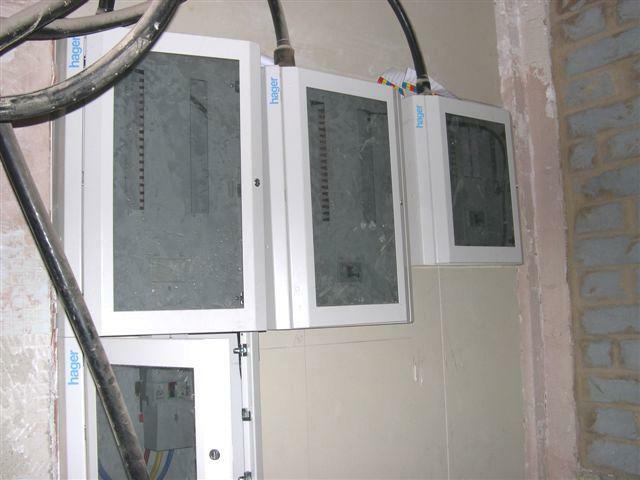 this is a picture of the `new` distribution panels, these are fed with steel wire armoured from the basement of another club and are unlabled at either end of the connection. this is a remodle job that my company has taken on, i am looking forward to draging in a few thousand feet of cable. this is the tempory supply that we have to work with, until i rip it out and put it in safe, that is, the feed is a 35mm 4 core armoured cable that is just left on the floor, the panel has only a few CB`s in it and is hanging up on the original raceway. not the safest place, but thats what you get if you dont use an electrician and just let the GC`s play with it! I recognise that F/A panel in the top pic, we used to have them over here in New Zealand a while back. They don't comply here either now. 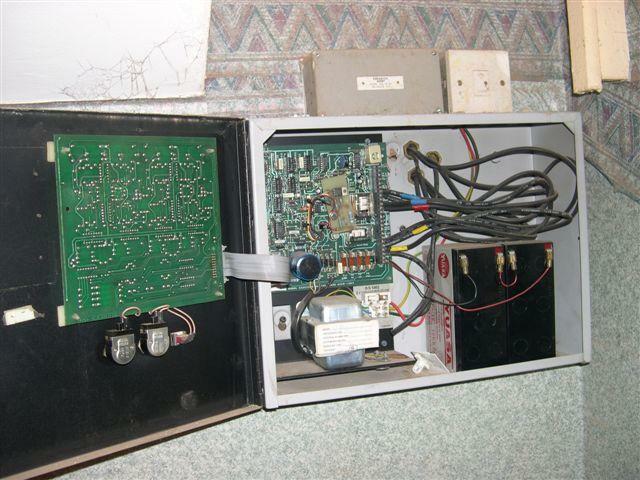 In the 3rd picture, is that the Mains feed coming in through the top of the panel just below that Fused Spur?. I'd be interested to know if there is actually a bushing in the hole where the wires come through, because from here it doesn't look like it. 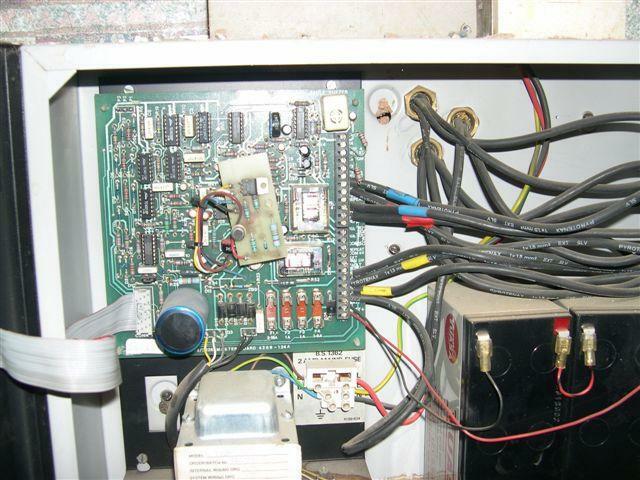 Is it my eyesight or has that add-on PC board in the middle of the Main board been over-heating at some stage?. Man, that SWA wiring is rough!. I'd hate to see them Boards after a decent fault, with the un-supported cables moving, they could pull the boards off of the wall. In the last picture, what exactly is holding that board up? I see what looks like Nylon string? Britspark, I would have to agree, this must be an International thing, because for some odd reason, some GC's seem to think that the term "General Contractor" means that they have some sort of Divine right to muck around with anything on-site that takes thier fancy. Considering that their most commonly used tools are hammers and Nail-guns, gives some idea as to the amount of intelligence we're dealing with here. 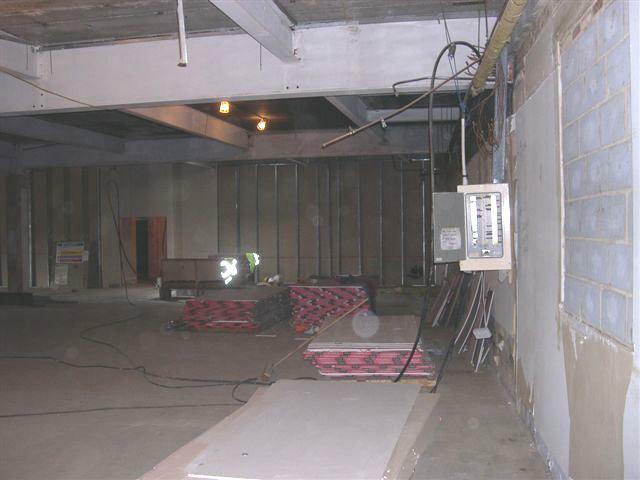 Final note, is that Fire-Rated Plasterboard in that picture?. the add on pcb has got a bit warm over the years but i have not had time to work out what it is for, it appears to be a `factory add on`. 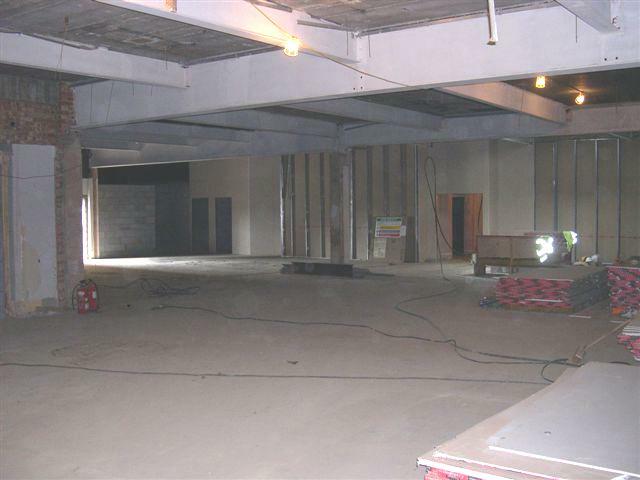 all the plaster board (sheetrock) is fire retardant as the place is being converted into a `Gentlemans Club` (in other words a table dancing club). we have just over the last few months taken over the installation and maintenmance works for all of the sites around the country and this on is on the third floor of a building and is in terrible shape. as i am also part of the Health and Safety team, i was appaled at the condition of the temporary installation and on monday i will be removing all of the supply to the building a re installing itt in a safe and usable way. 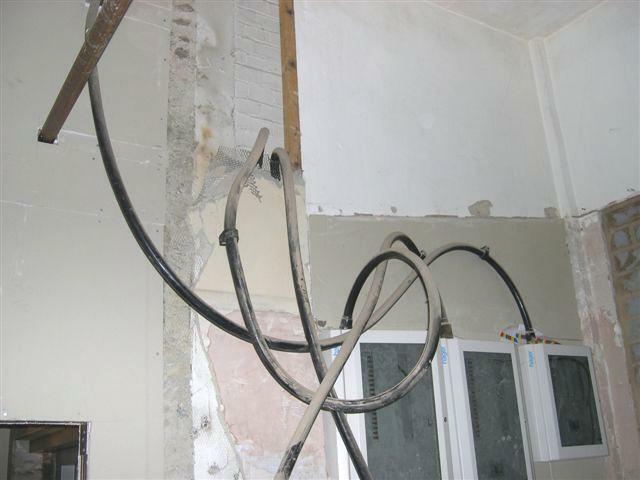 and those SWA cables, they are being re routed and re connected properly. the GC is not a happy bunny, he seams to think he has a `way` with wiring, (the wrong way would be the only thing i can say. also i am going to get some photos of the mains room (440v 1200 amp TP/N WYE installation it is old but in really good order).